“Loaded with laughs every step of the way.” —Star-Ledger. Over the River and Through the Woods tells the story of Nick, a single, Italian-American guy from New Jersey. His parents retired and moved to Florida. That doesn’t mean his family isn’t still in Jersey. In fact, he sees both sets of his grandparents every Sunday for dinner. This is routine until he has to tell them that he’s been offered a dream job. The job he’s been waiting for—marketing executive—would take him away from his beloved, but annoying, grandparents. He tells them. The news doesn’t sit so well. Thus begins a series of hilarious schemes to keep Nick around. 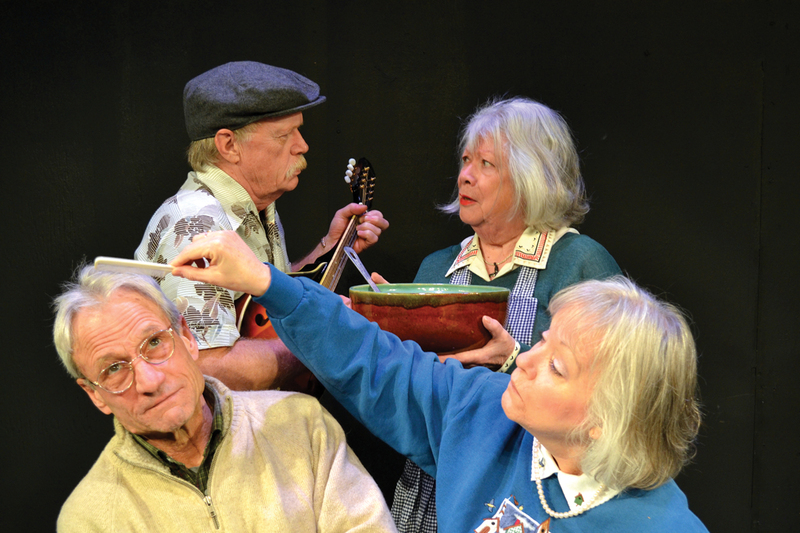 Featuring the main-stage directorial debut of Laurelle Walsh, Over the River and Through the Woods stars Marc Holm, Donald McLane, Jane Pappidas, Ray Sanders, Julie Tate-Libby, and Robin Wheeler. DATES: March 7-23, Thurs- Sat, 7pm, Sun, 2pm. Adults/$15, Youth/$5 (18 & under). “Pay What You Can” Thurs, Mar 13, 7pm. LOCATION: The Merc Playhouse, 101 S. Glover St. Twisp, WA; CONTACT: 509.997.PLAY (7529); www.mercplayhouse.org.